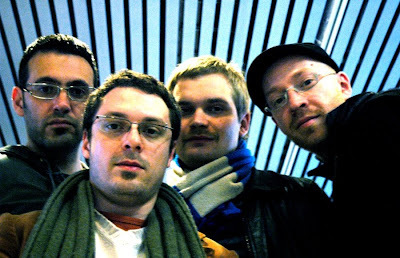 interview with the excellent french trio triade, i.e. sébastien boisseau on bass, cédric piromalli on piano & nicolas larmignat on drums, and their guest, saxophonist mikko innanen from finland. 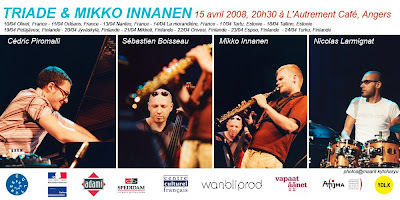 the quartet is touring europe, i met them at l'autrement café in angers where they gave a delightful performance on april 15, 2008. here's the interview with triade, with mikko innanen, and most of the evening's music, all in good quality mp3!